Antrim were edged out 0-14 to 0-13 by Longford in Sunday's Football League Division Four encounter at Pearse Park. 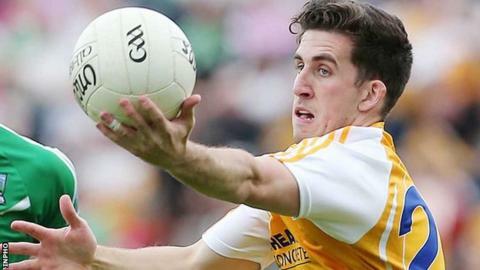 Longford made the better start and stormed into a four-point lead before Antrim fought back. Ryan Murray scored two points while Conor Murray and CJ McGourty were also on target as Antrim levelled. The visitors trailed 0-9 to 0-8 at the break and the game remained close but a late free gave Longford victory while Antrim remain without a league win. The game was in doubt early on Sunday afternoon with Pearse Park shrouded in fog, but it was deemed playable by the referee. It was valiant effort from Antrim, who opened their campaign last weekend by drawing with Carlow. The Saffrons lie sixth in the Division Four standings going into the three-week break.